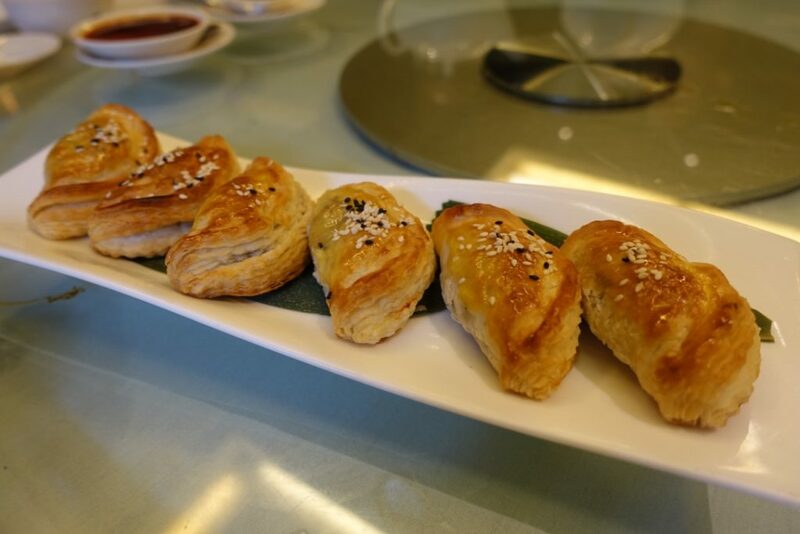 Char siu pork puffs (3 per portion) are more akin to curry puffs in exterior that you can get in Chinese bakeries, but don’t let appearances fool you as these little gems arrive piping hot and flakey with a really flavourful BBQ pork filling. 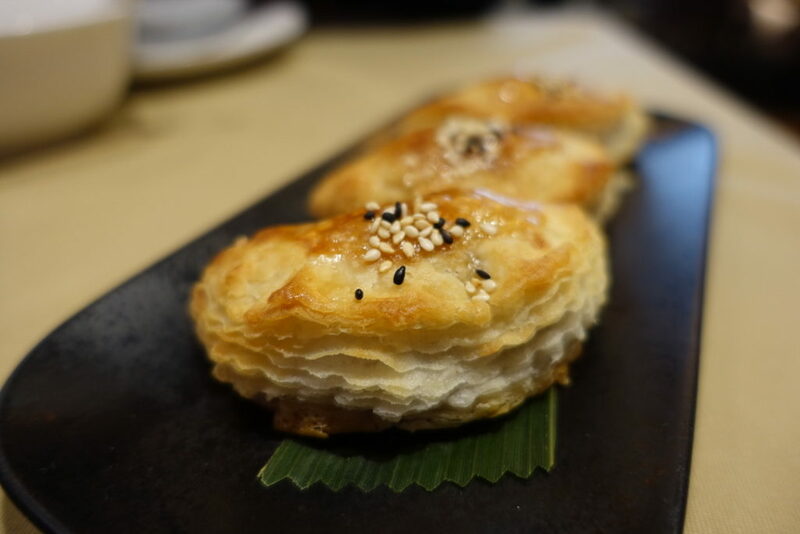 Sesame paper prawn with mango sauce £5.60 (3 per portion) were a wonderful play on textures. 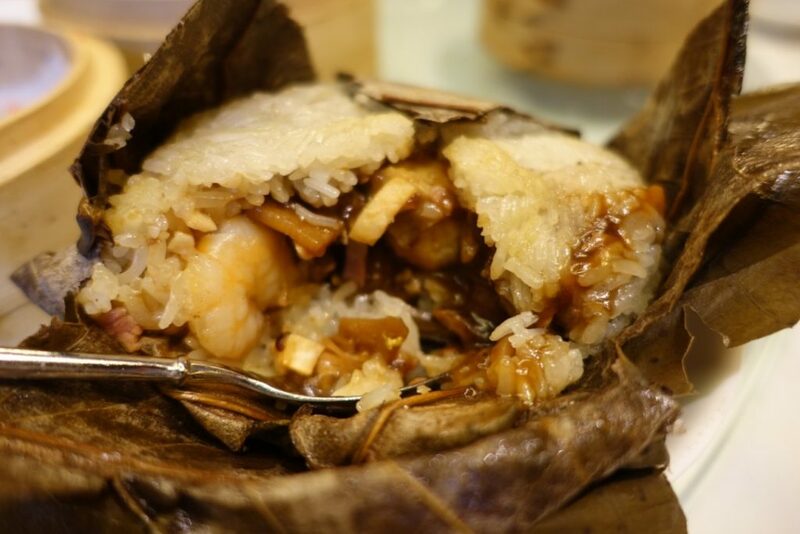 Crispy on the outside with a pang of sweet drool-worthy prawns on the inside. The mango sauce was a spare wheel though and not needed IMHO. 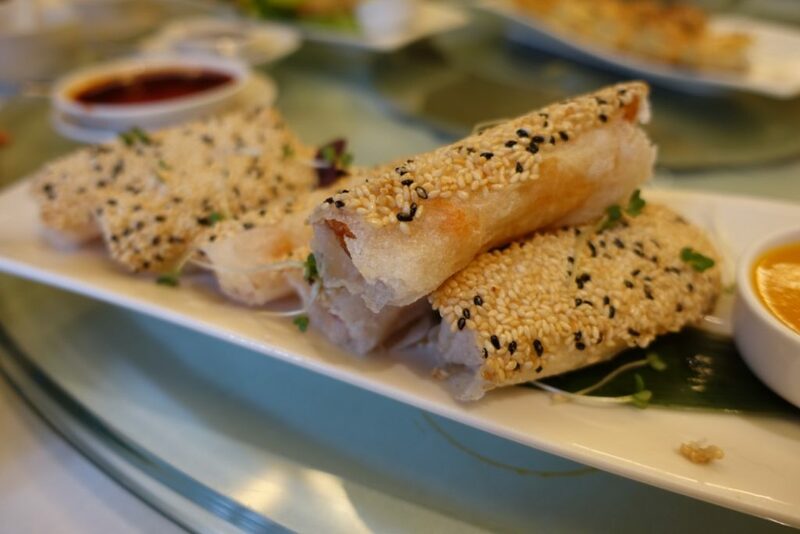 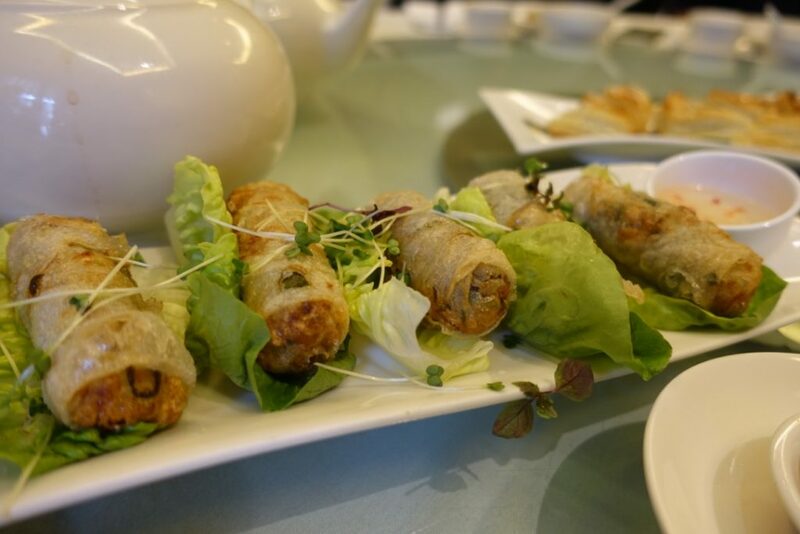 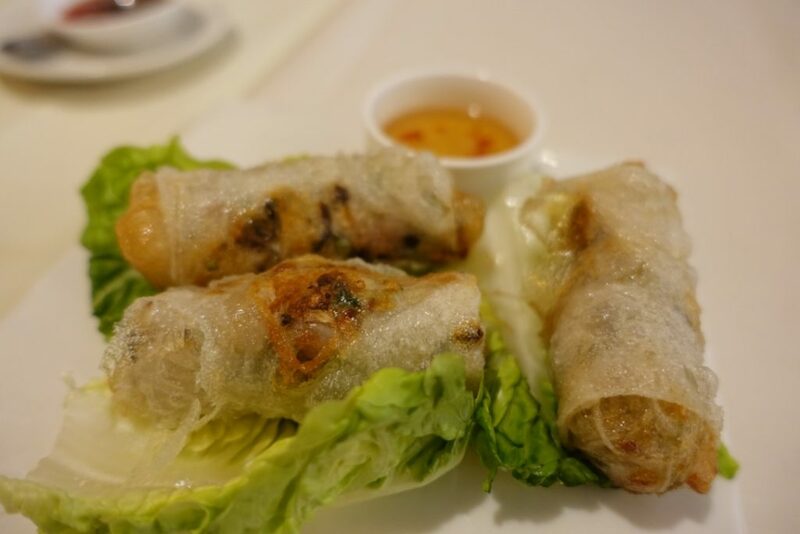 Vietnamese spring rolls with prawns & soft shell crab £5.80 (3 per portion) are palate pleasers – all the ingredients are clearly identifiable through the high quality of them. 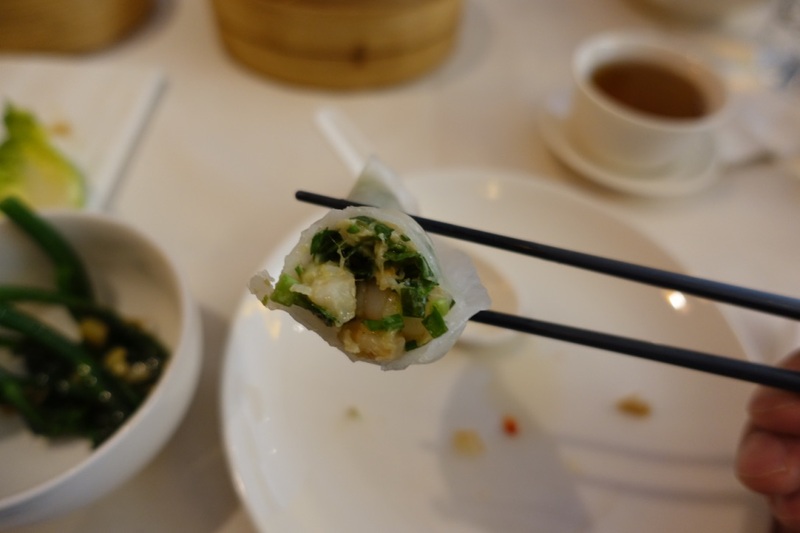 They come with grease-cutting fish sauce/vinegar sauce and lettuce cups for wrapping. Steamed seabass roles Szechuan style £8.60: I was dubious about this dish as I thought the hot oil and numbing spices would overpower the integrity of the delicate fish, how wrong was I and everyone was fighting over it too! 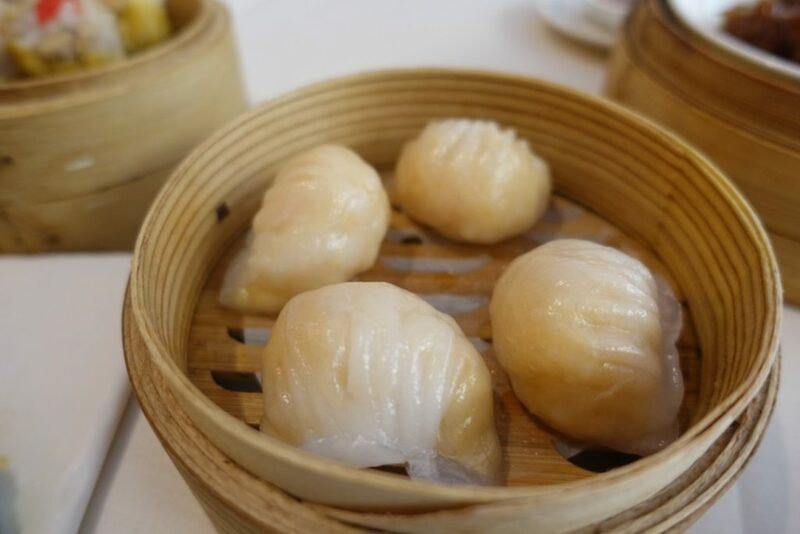 Har gau £6.40 were the epitome of what good har gau should be, sweet, sweet prawns with diced bamboo, wrapped in perfect translucent pastry. 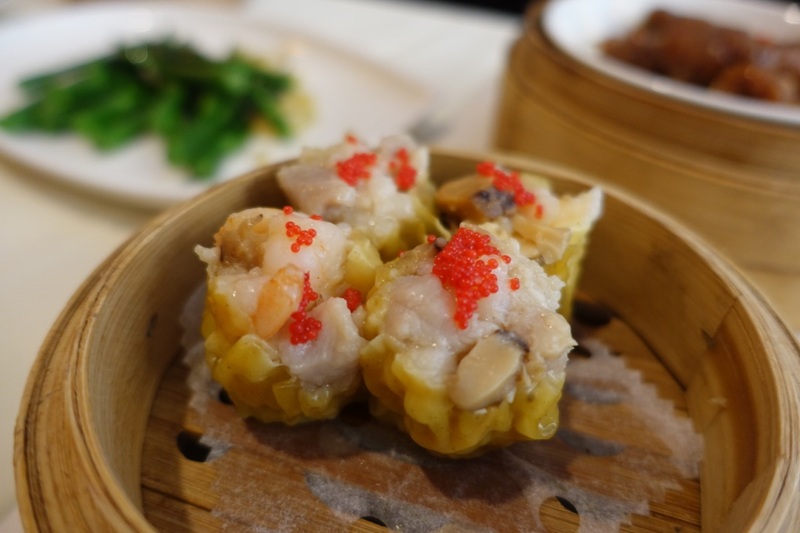 The siu mai £5.80 crested with crab roe were a succulent delight – the texture wasn’t too course or too fine and the ingredients spoke for themselves. 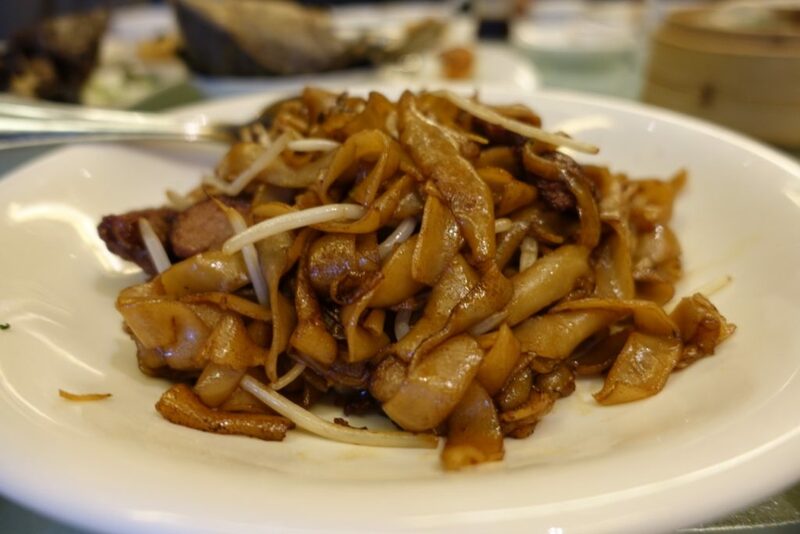 You can’t beat the classics! 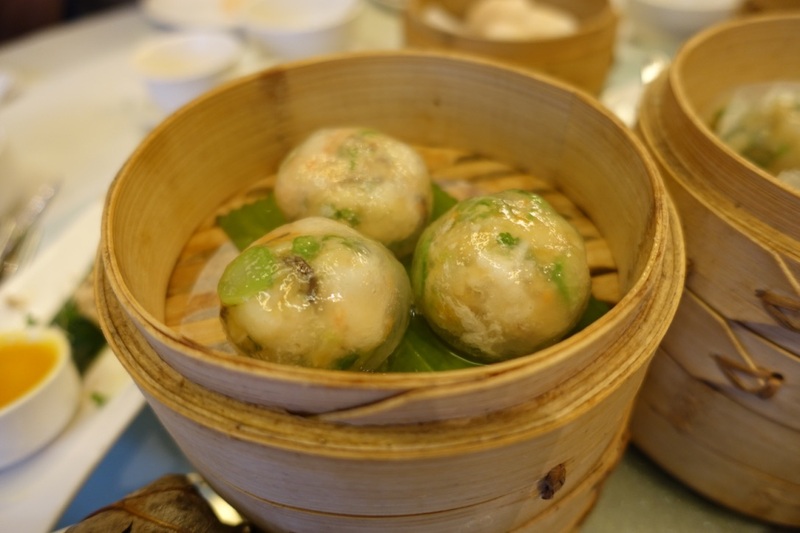 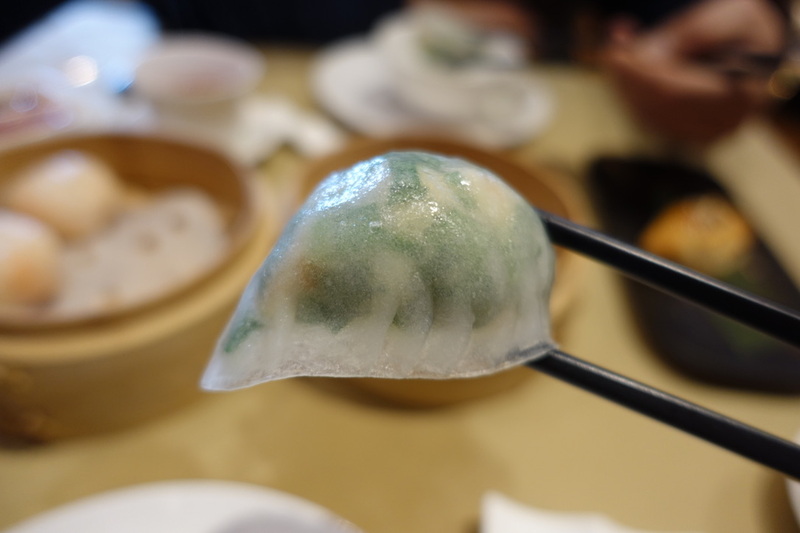 Crystal prawn dumplings £8.20 from what a gathered was another take of the har gau with a melange of other things like shrooms and gai lan. 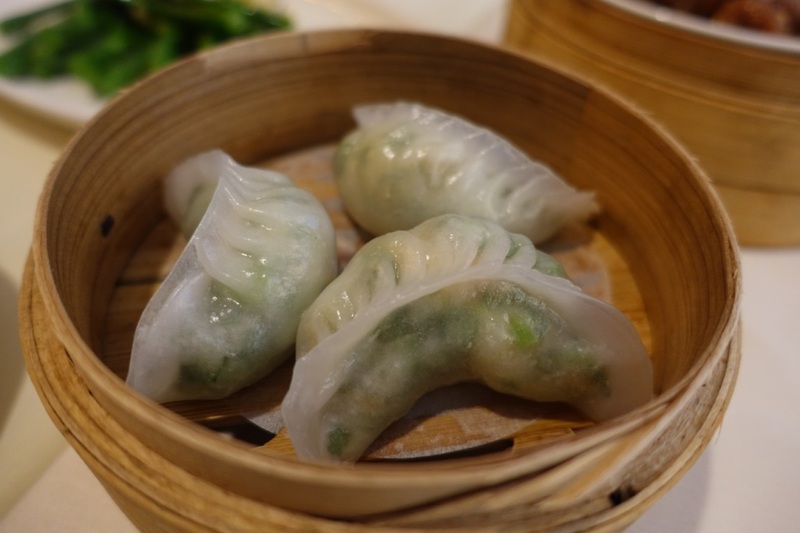 Prawns and chive £6.20 dumplings are another classic which I love unreservedly, they do them justice here! 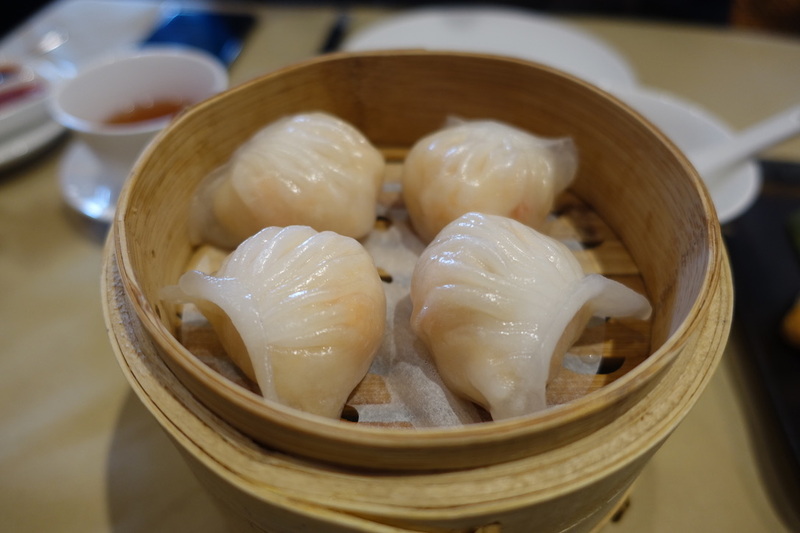 Crab siu lung bao £6.40 had a well balanced filling, the pastry was thicker than what I’d like but hey. 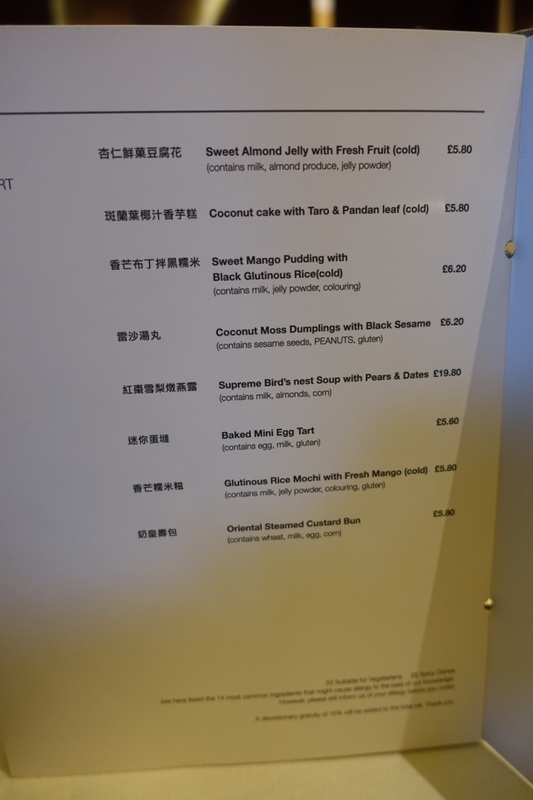 Taro cake £8.20 is a play on the senses, as they are amped with off piste dim sum ingredients such as truffle and wild mushroom and caviar. 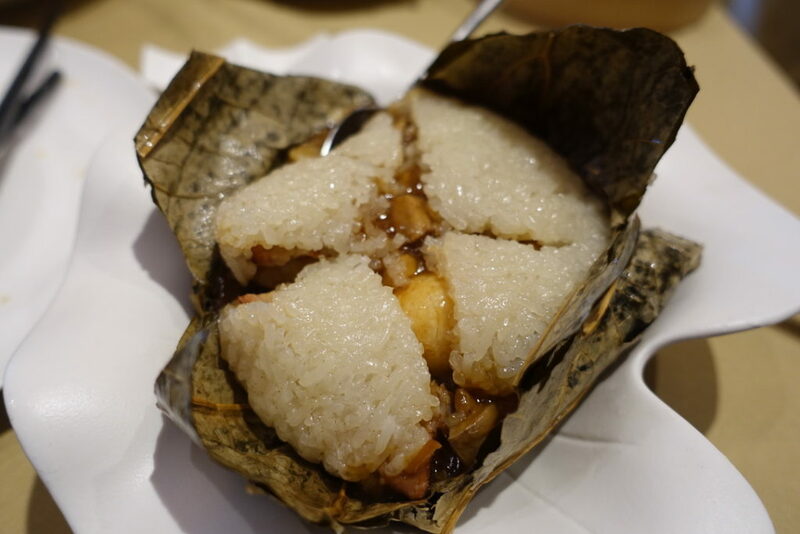 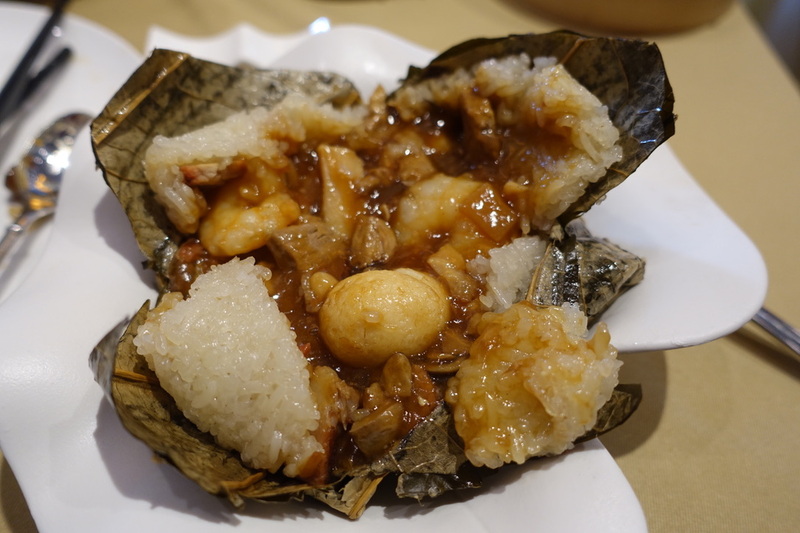 Glutinous rice wrapped in lotus leaves £9.60 is a generous lump of goodness that would stop you in your tracks – it says “mini glutinous rice wrap” on the menu. But there’s nothing mini about it, the filling is sweet as a nut and comes with whole fresh prawns vs the usual dried shrimps, which is a welcome change! The lush slivery prawn & chive cheung fun £7 was easily eaten, deservedly as it was delicious. 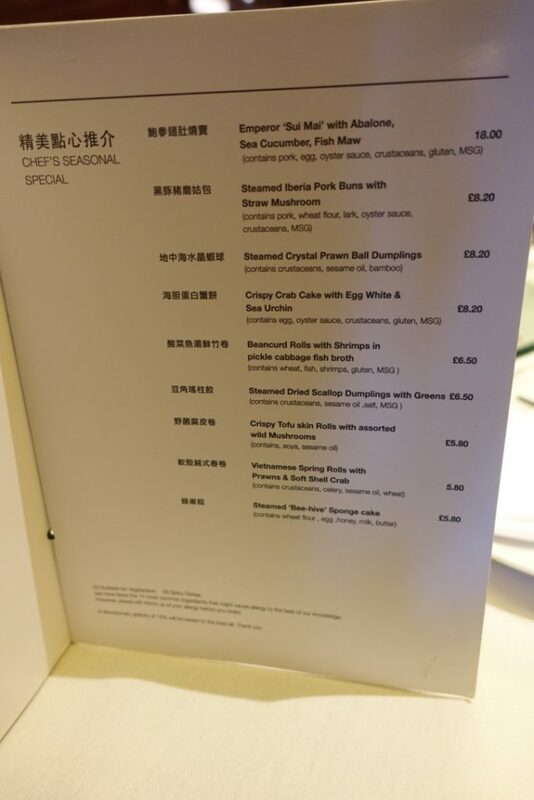 Beef and quail egg £8.30 cheung fun was another well made plate, the addition of the quail egg was more visual than anything else as it was lost. It didn’t matter though. 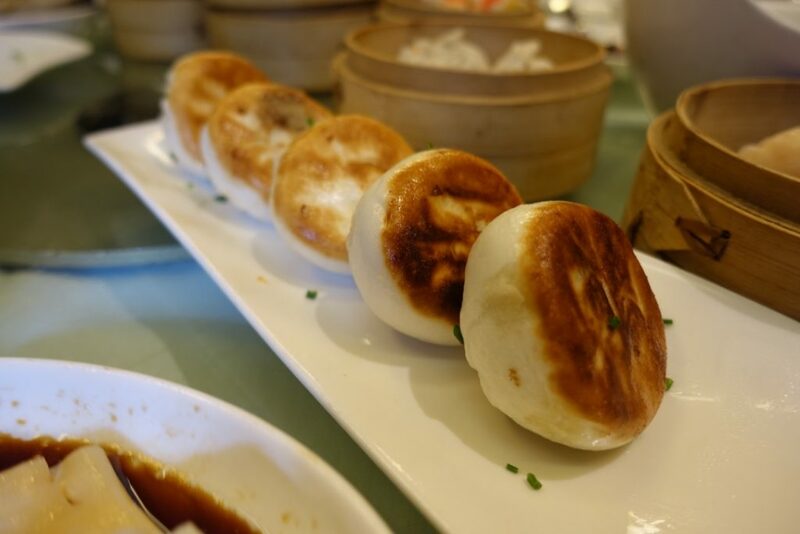 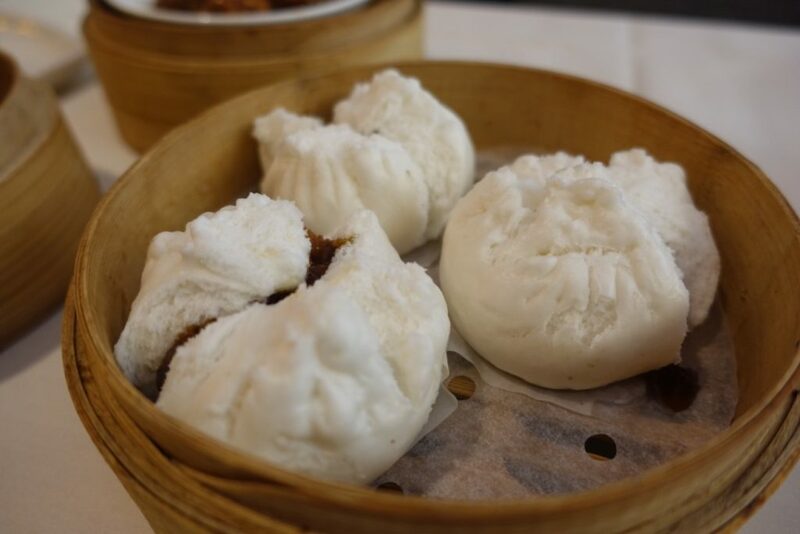 Pan fried mince lamb buns £5.20, not a common item on a dim sum menu, but it’s testament to the guys at RCC doing things differently and they are delicious. 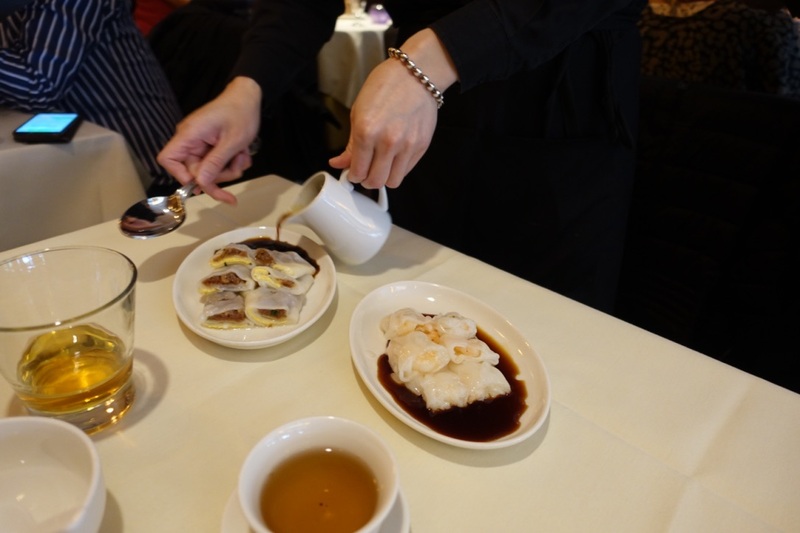 Fried steak hor fun £15 is a Cantonese classic, it’s greasy, tasty and soul enriching stuff. 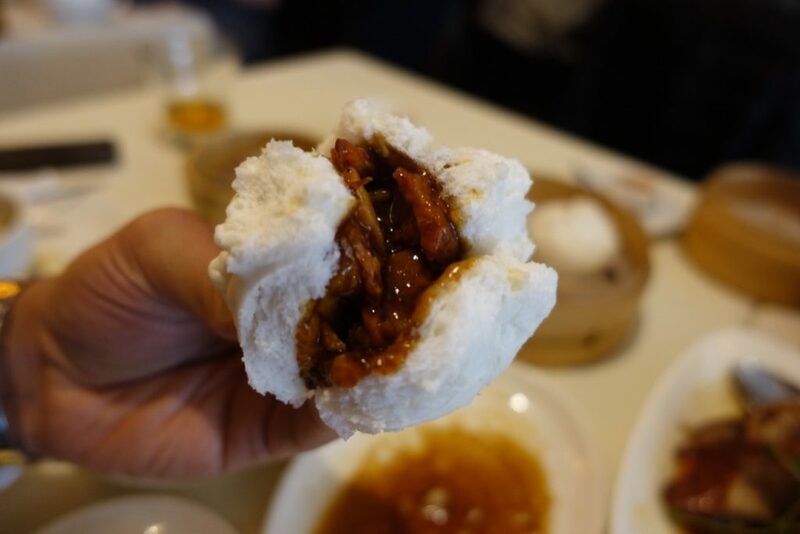 Don’t kid yourself that you’ll get slim eating it though. 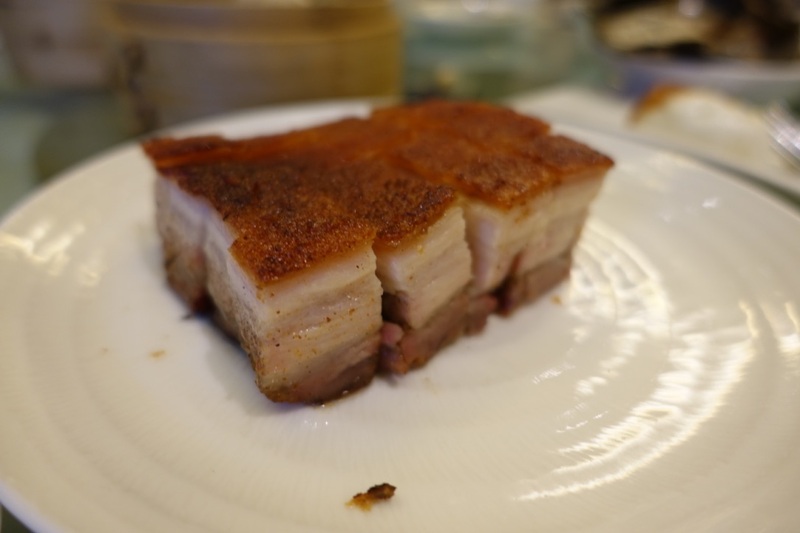 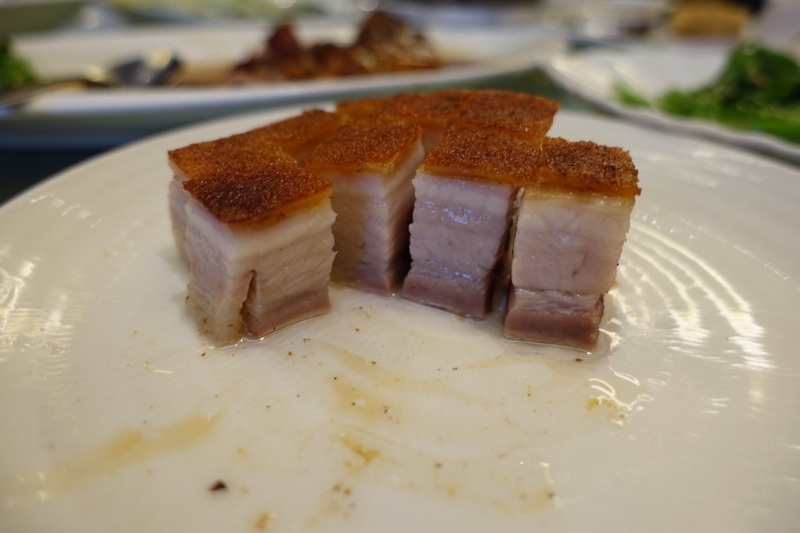 The roast BBQ pork Royal China style £18 was a piece of meat that someone really lavished some time on, making sure the fat was rendered down, the meat spiced and the skin coarse like sandpaper that makes a mellifluous crunch when you bite into it! 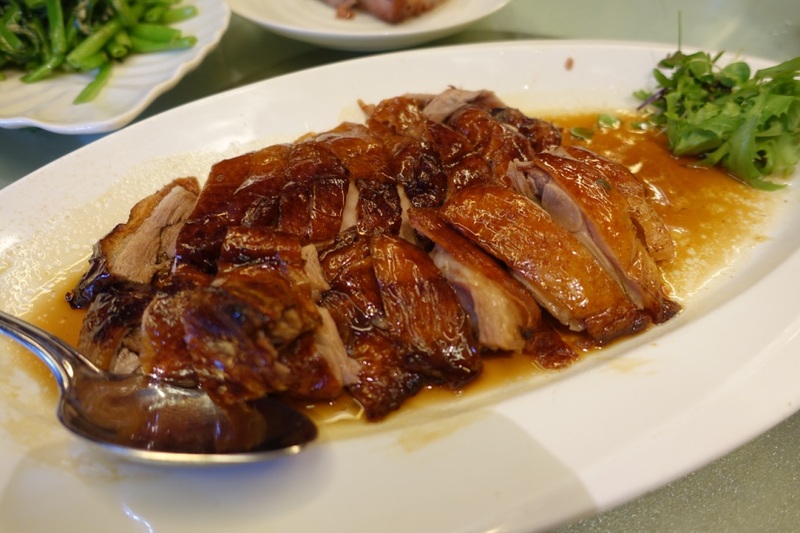 Half a roast duck Cantonese style £25 came with beautiful lacquered skin, succulent flesh and had lots of palate pleasing pleasure to make you go back for more. 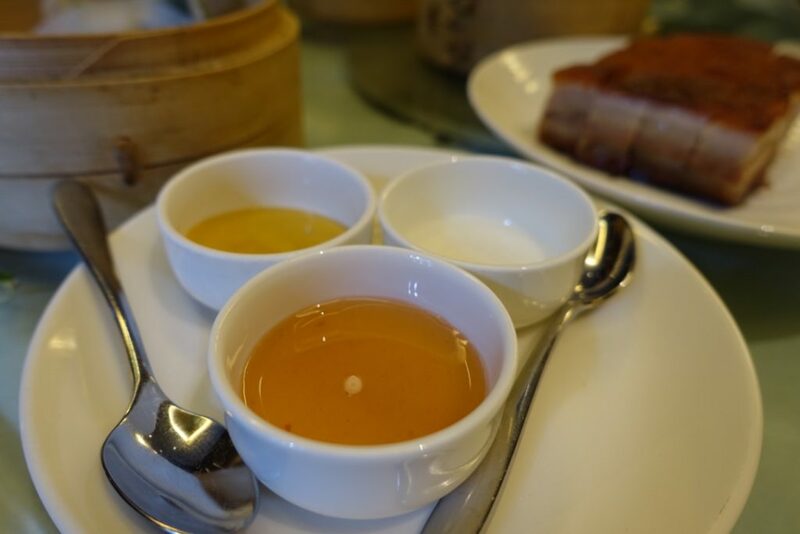 Mustard and sugar for the pork, plum sauce for the duck. Ginger kai lan £15 were of high quality too. 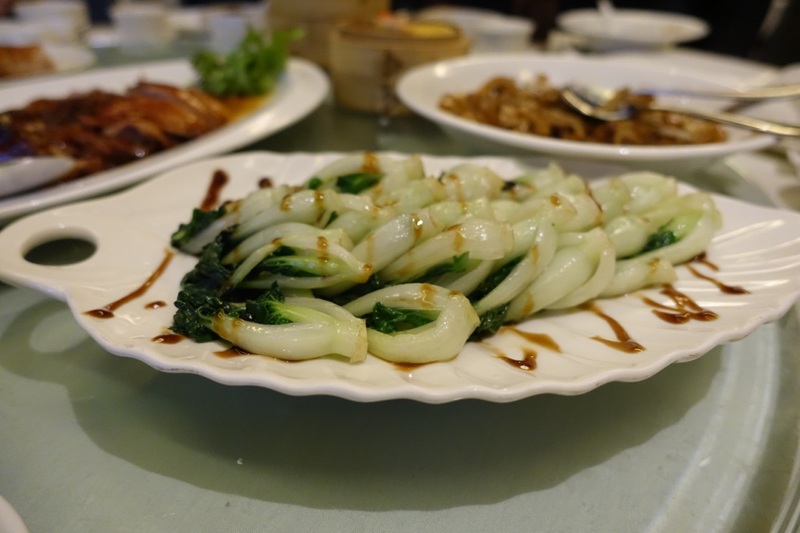 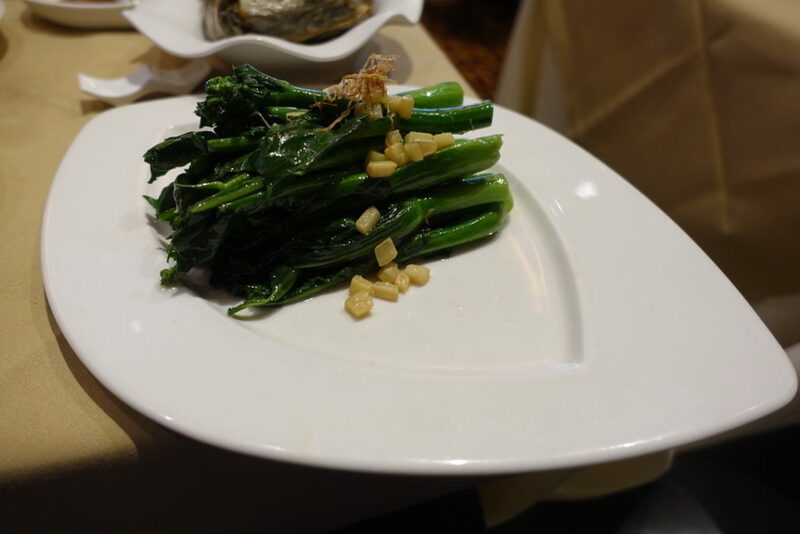 Oyster sauce baby pan choi £15 – aren’t they pretty? 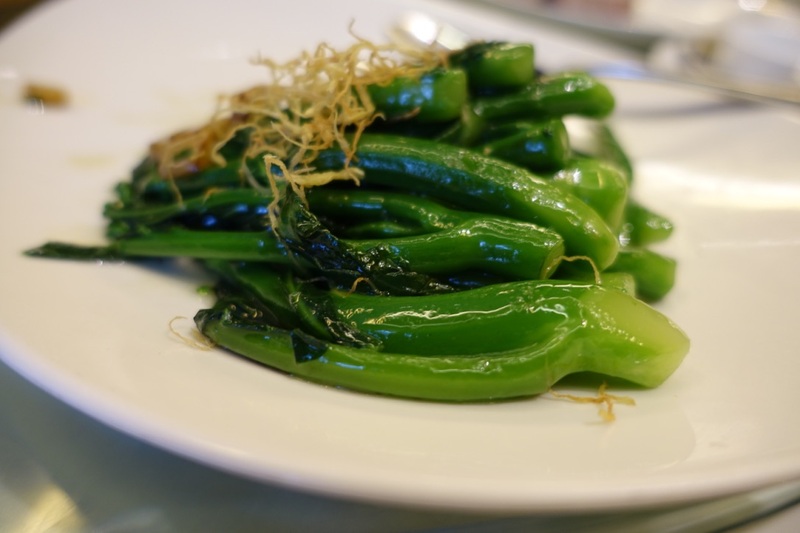 Tung Choi £15 were cooked brilliantly. 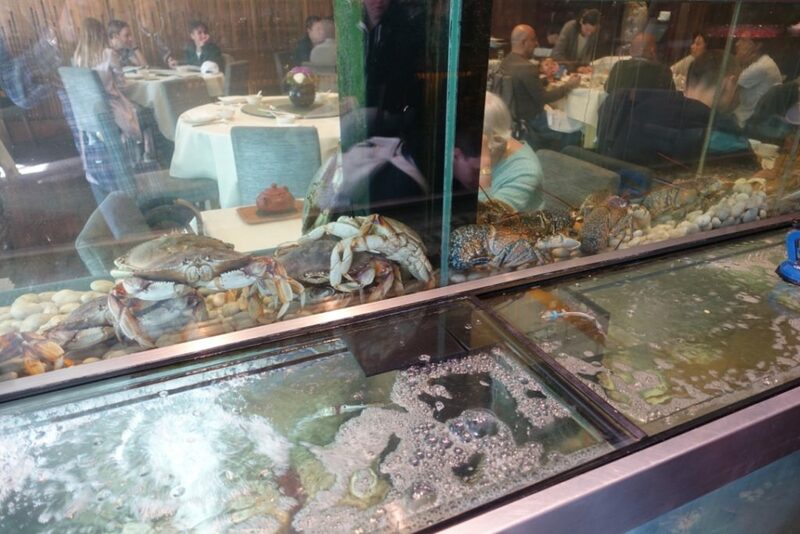 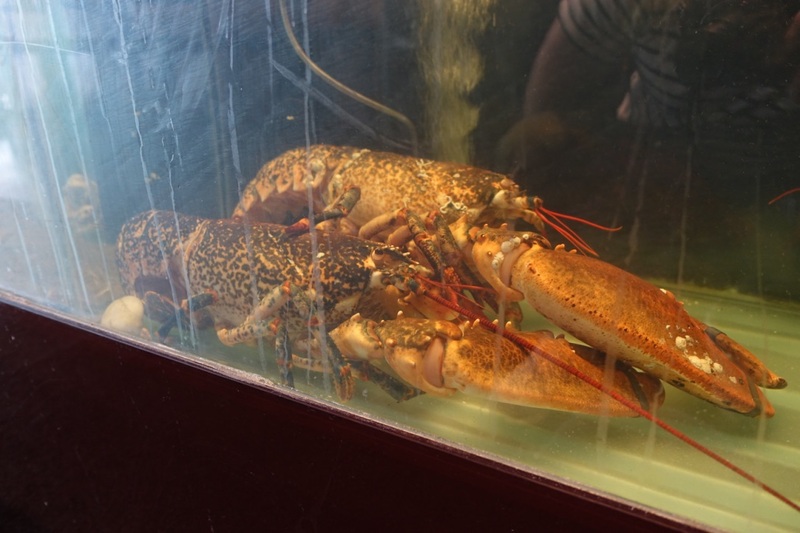 It’s those crustaceans that need their own car park! 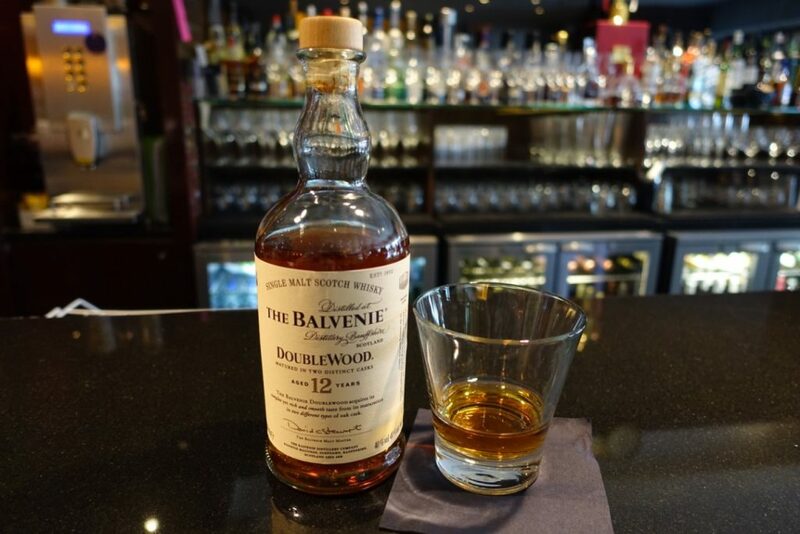 Proceedings started with one of Speyside’s finest. 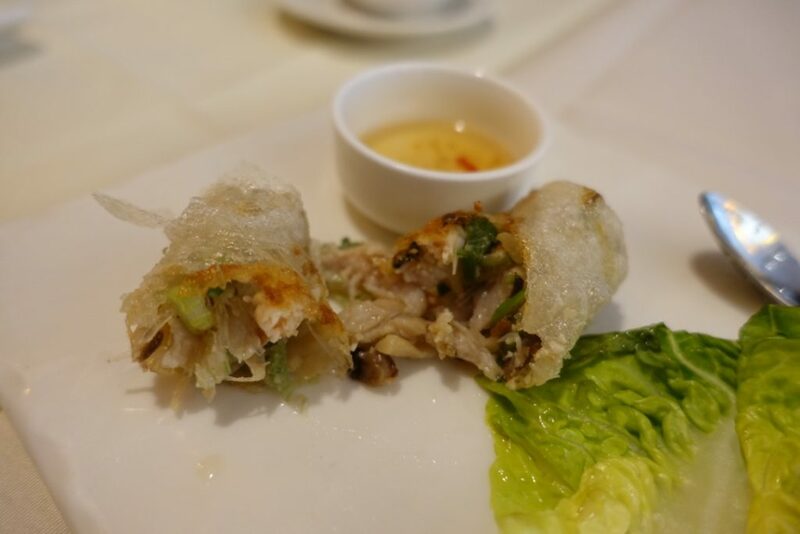 The Vietnamese spring rolls with soft shell crab and prawns hitting the spot yet again. 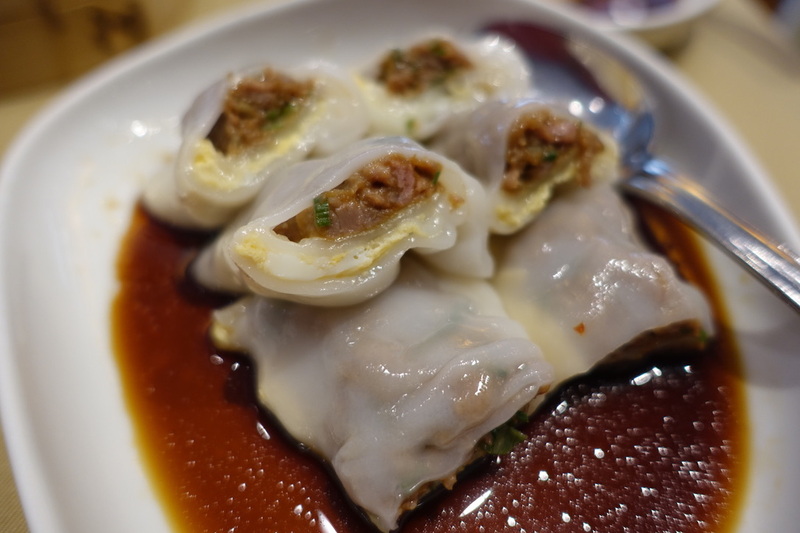 Beef cheung fun with quail egg staying consistently good. 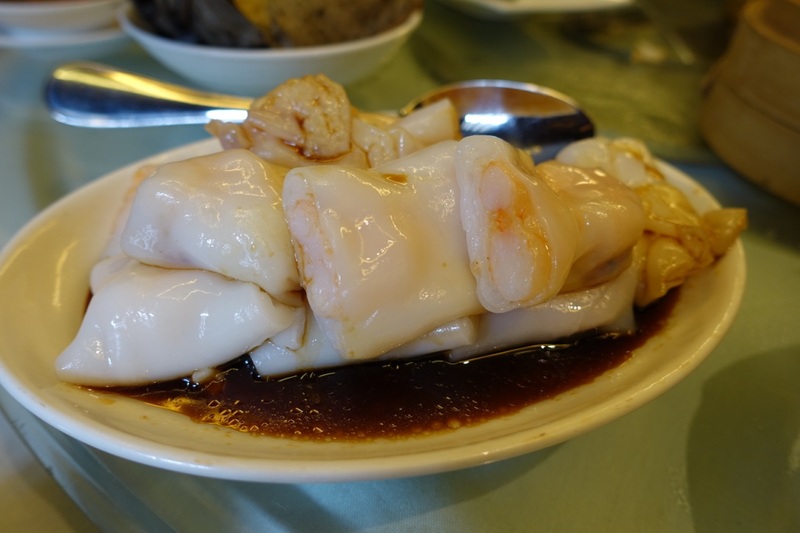 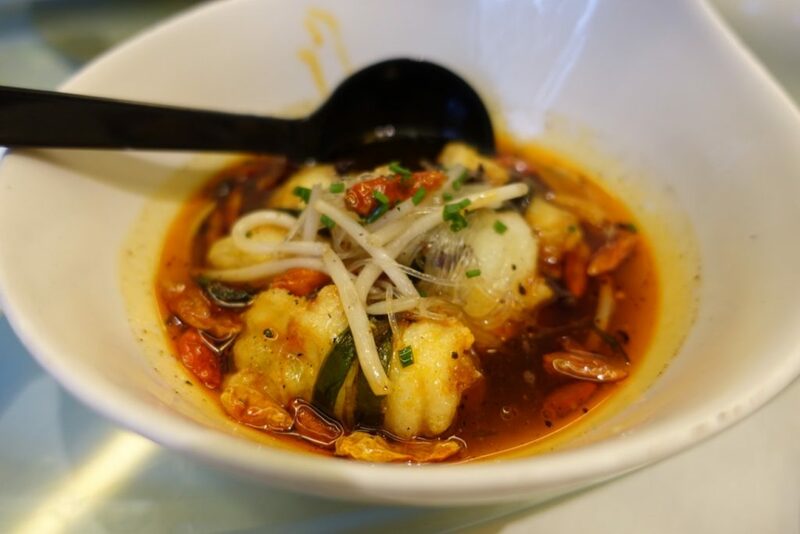 The goodness echoes into the prawn cheung fun – they get the pastry and fresh prawn combo just right. 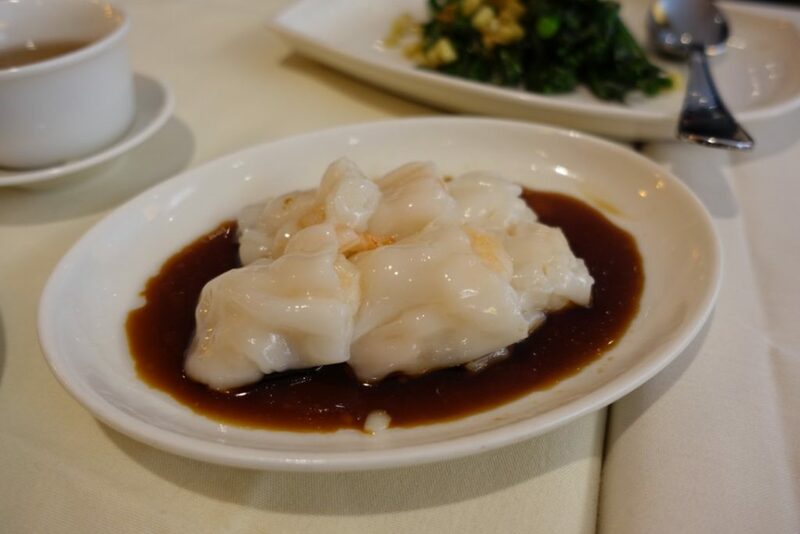 The kai lan is so fresh and the quality of it deserves cred – the cubed ginger is a novel addition as it’s usually crushed – it’s awesome. 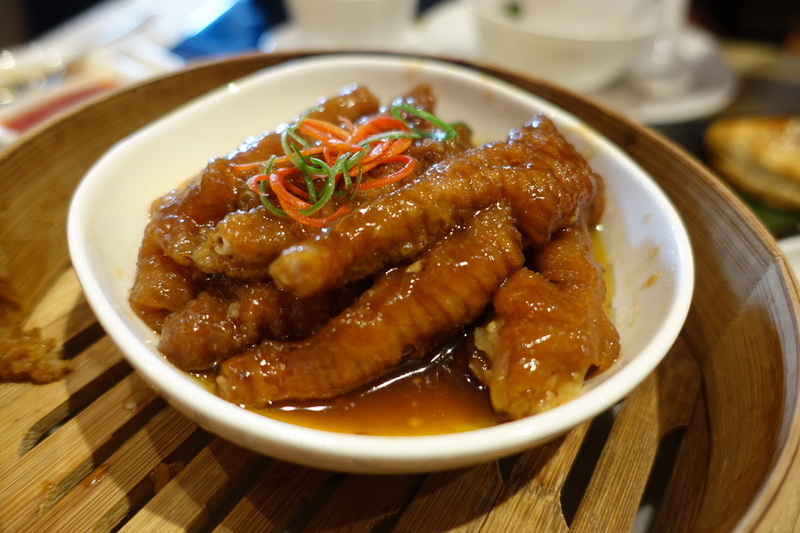 Chicken claws with blacken sauce £5.20 are easily some of the best I’ve had. 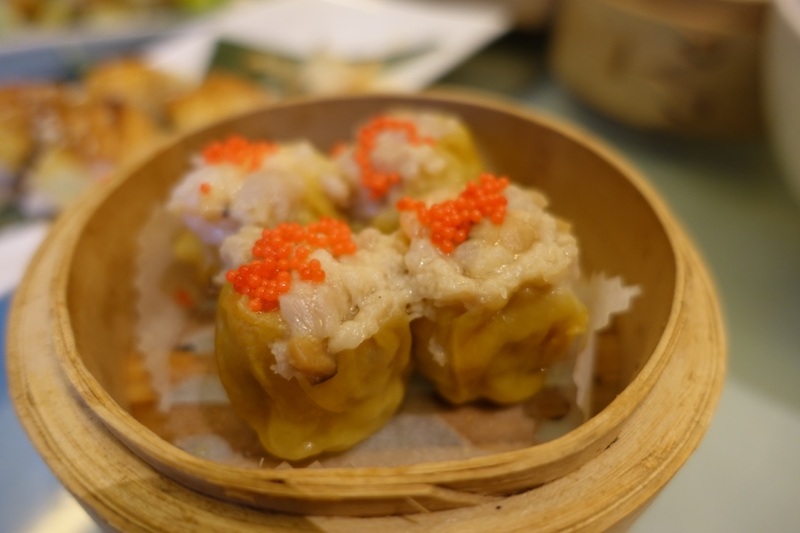 If the concept puts you off, I dare you to try these and not like the flavour – you’ll easily make friends with them. 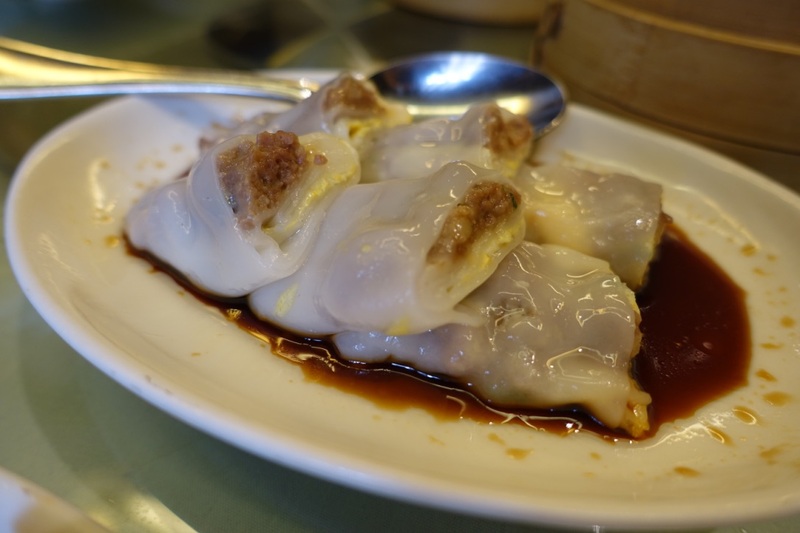 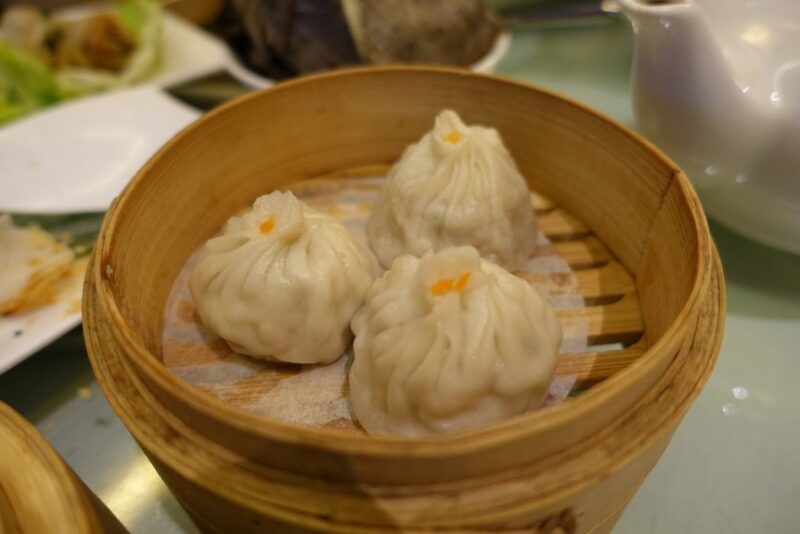 Har gau – just as good as I remembered them. 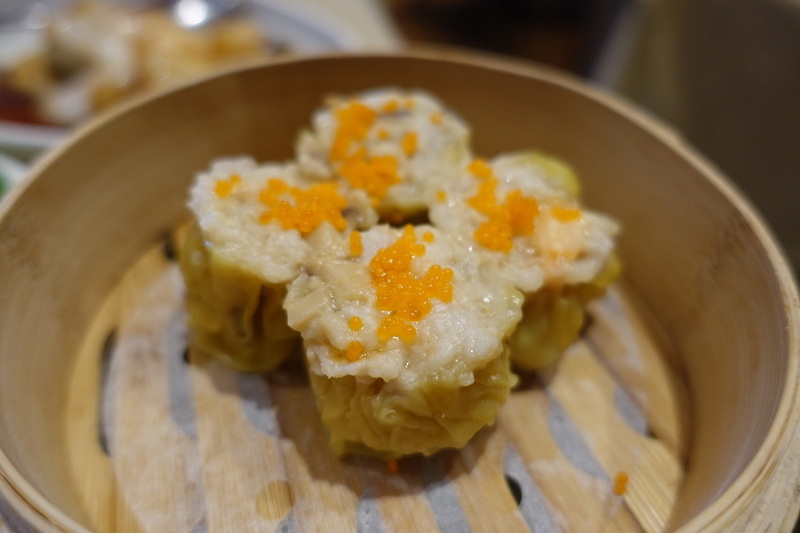 Siu mai with crab roe – slightly coarser in texture this time with the ingredients visual identifiable but no less delectable! 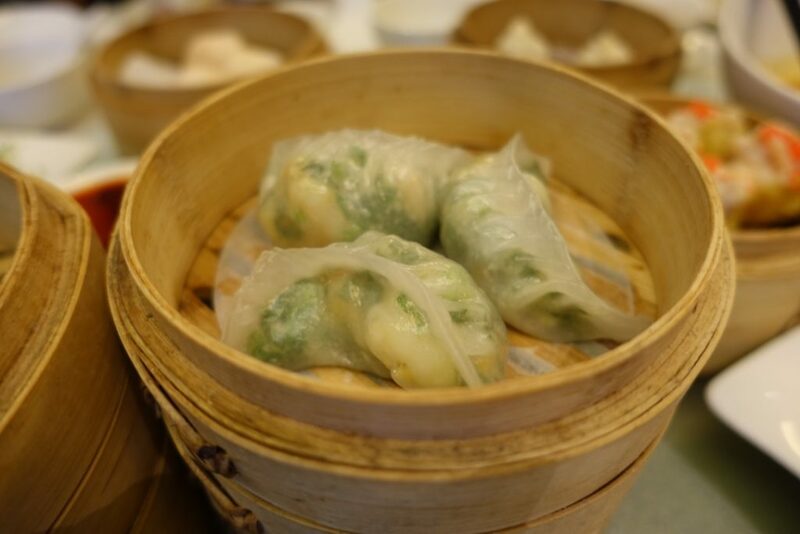 Prawn and chive dumplings were brilliant. 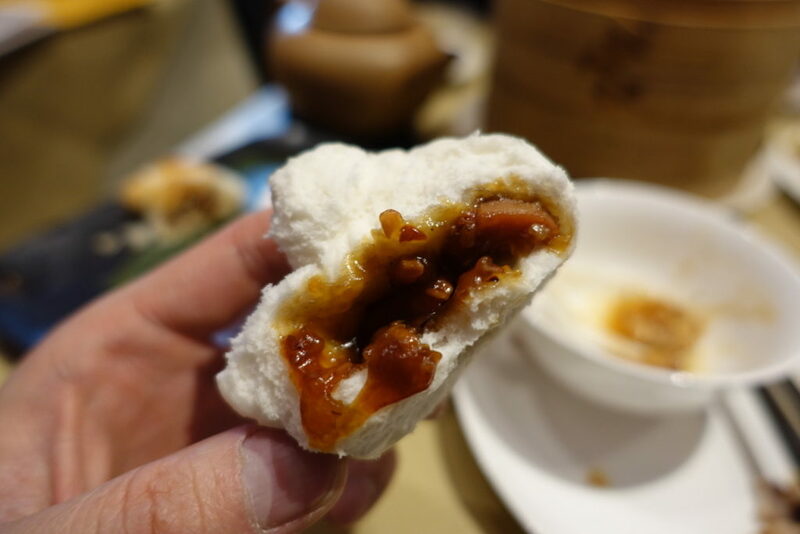 What surprised me was how good the char siu bao £5.10 was. 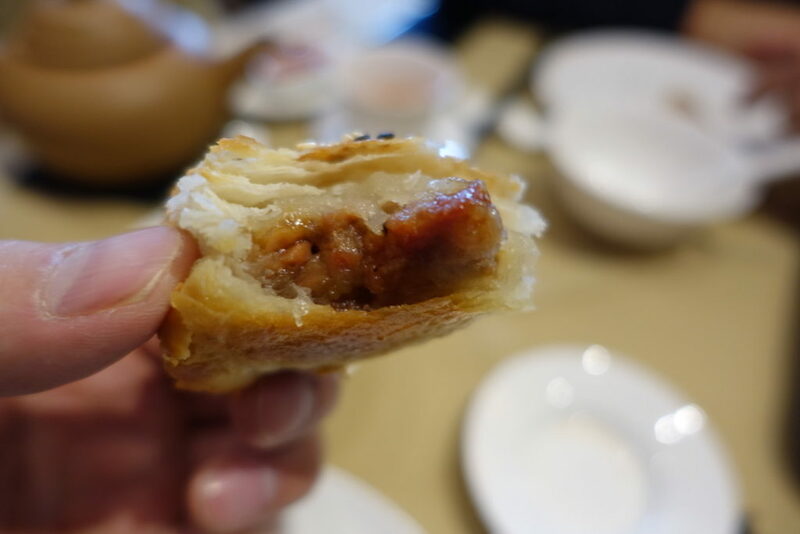 The light as clouds dough had an intensely savoury and sweet BBQ pork filling within. 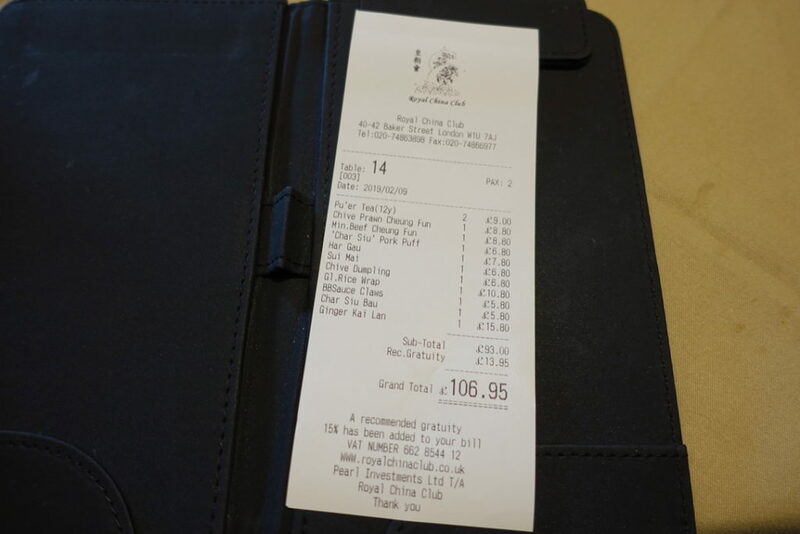 Not the cheapest for two! 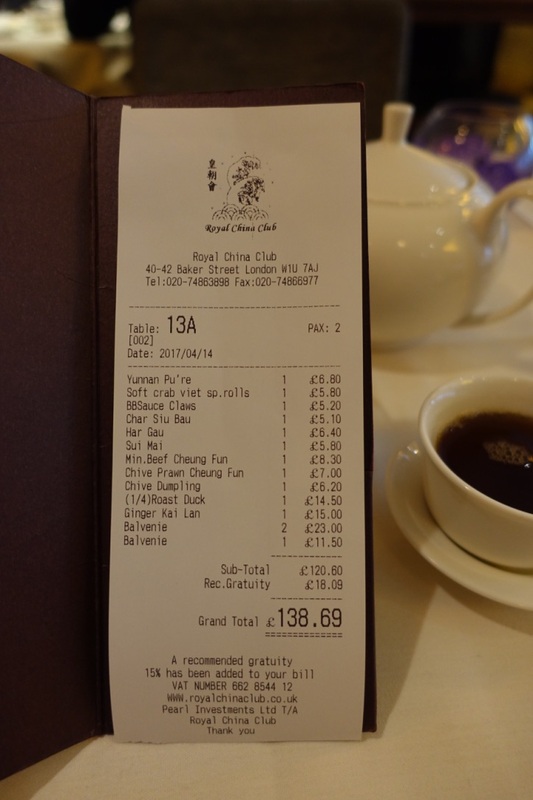 Visit number three was during Chinese new year 2019, post overhaul. 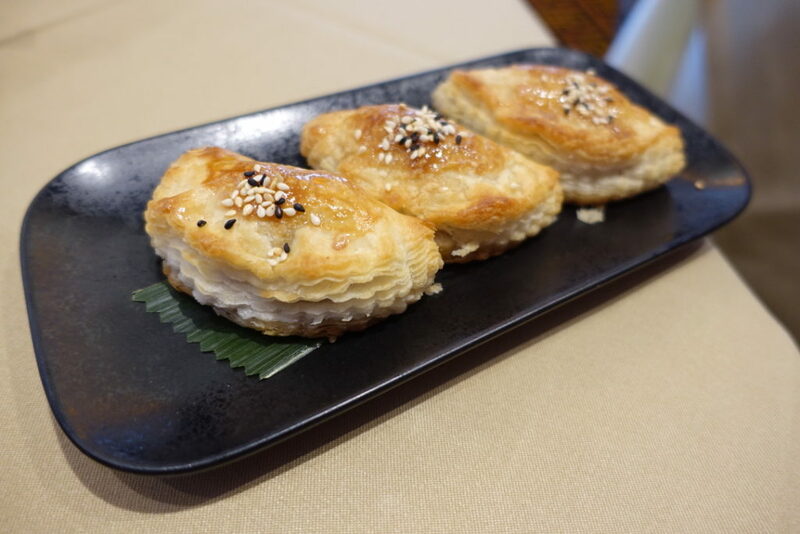 Char siu pork puffs were just as good as the first time. Har gau is a classic done well here. 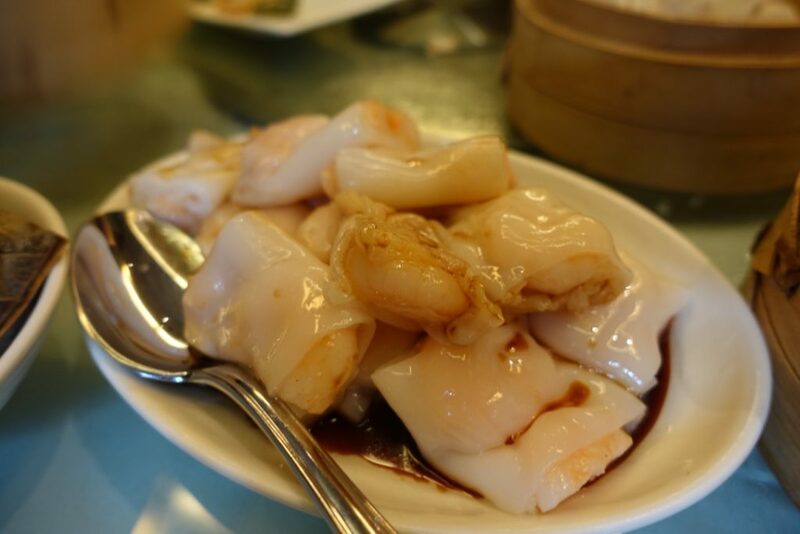 I’m glad, as they are one of my favourites. 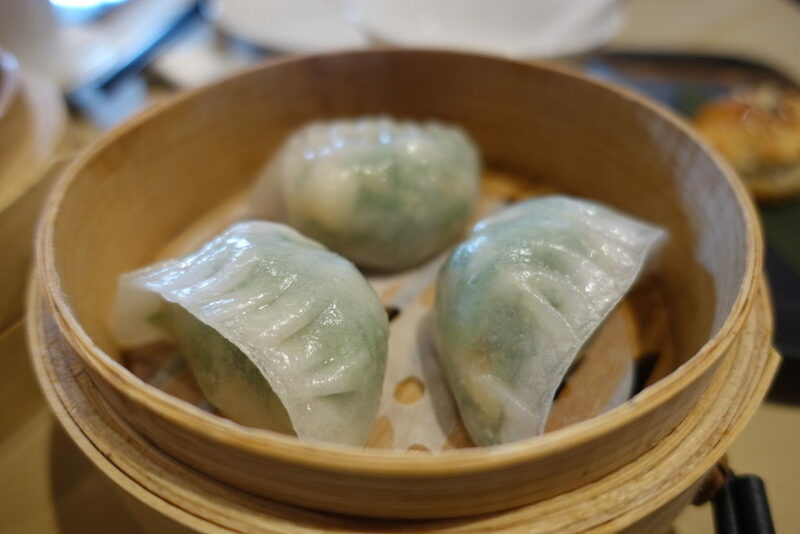 Prawn and chive dumplings were still decent enough. 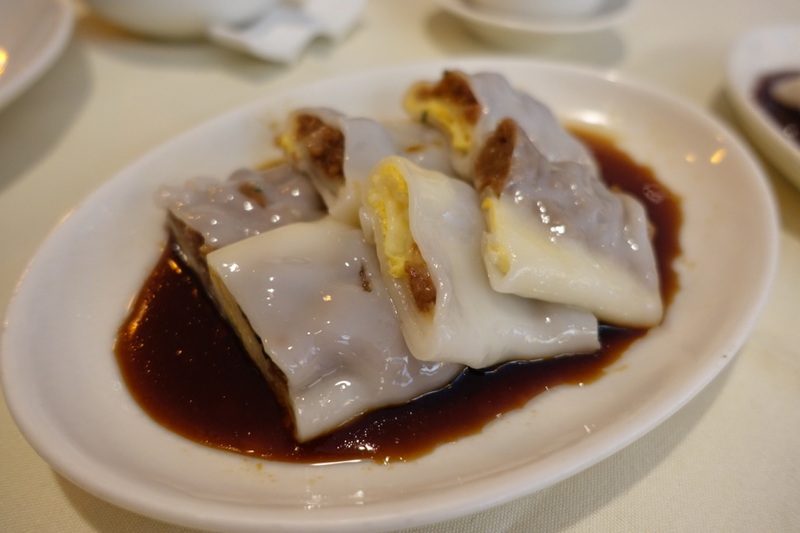 The beef cheung fun wrapped with quail egg and quivering rice pastry is a must have. 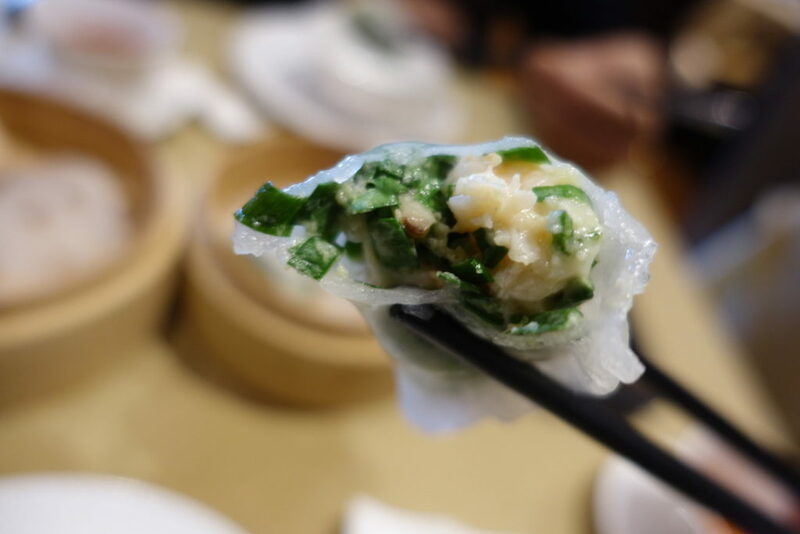 The pertest prawns and aromatic chives makes this cheap fun stand out from the crowd. 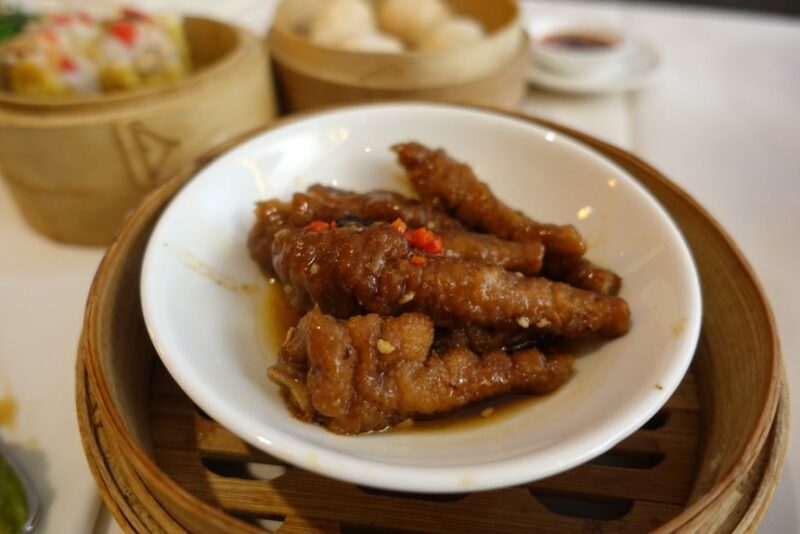 The chickens claws were yielding, rich and a revel to eat. 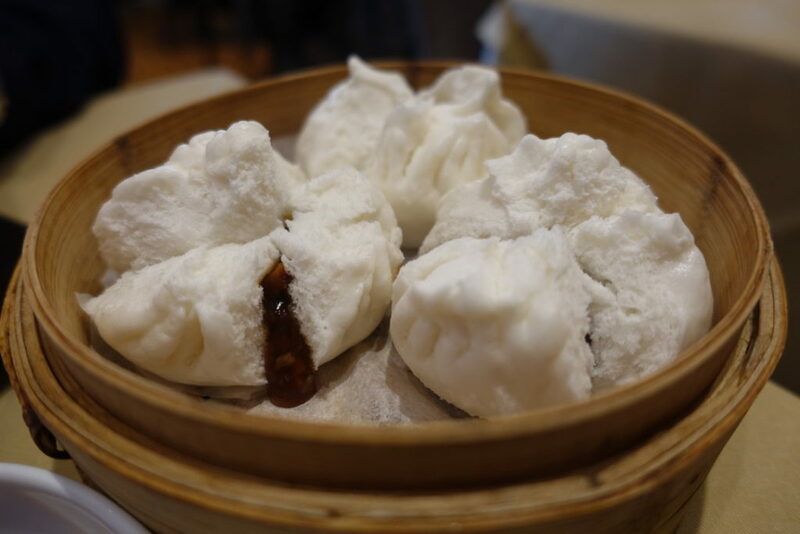 Disappointingly, the char siu bao weren’t as good. 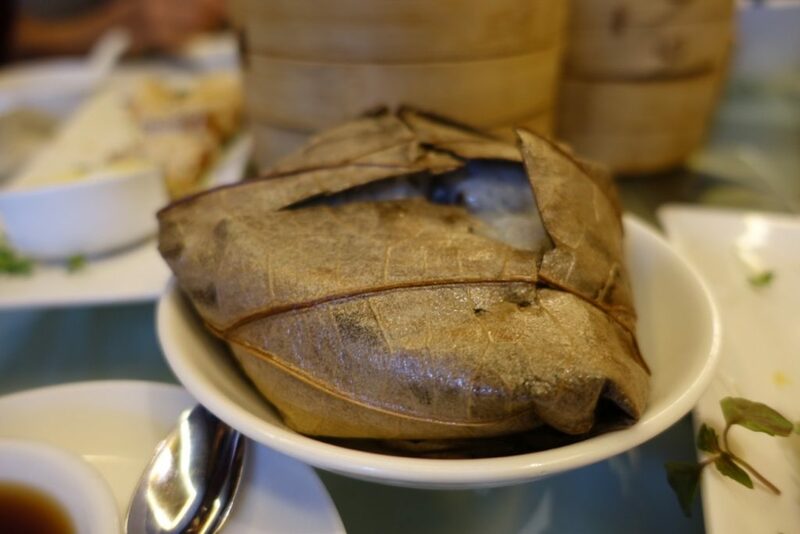 Somehow, the filling was thinner – it was bursting from the seams last time. 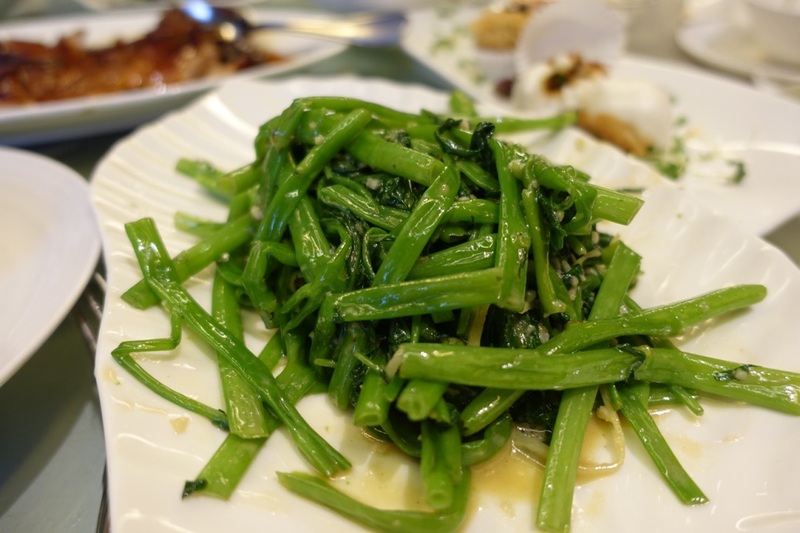 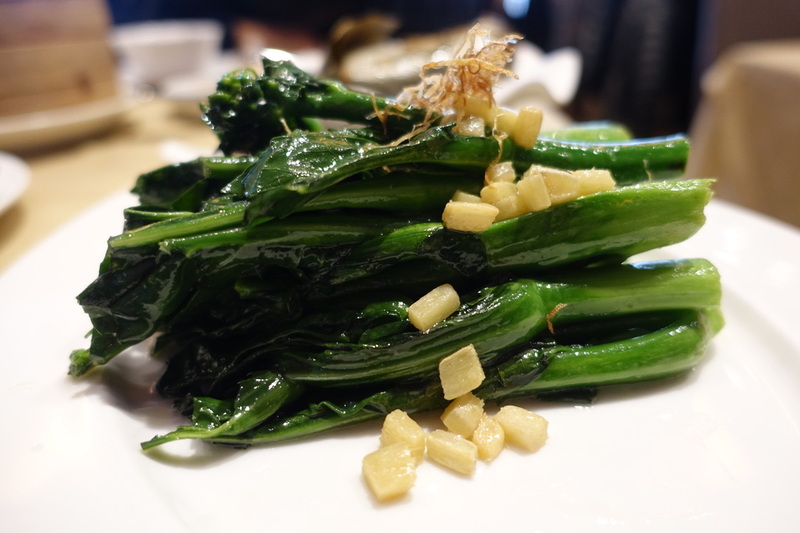 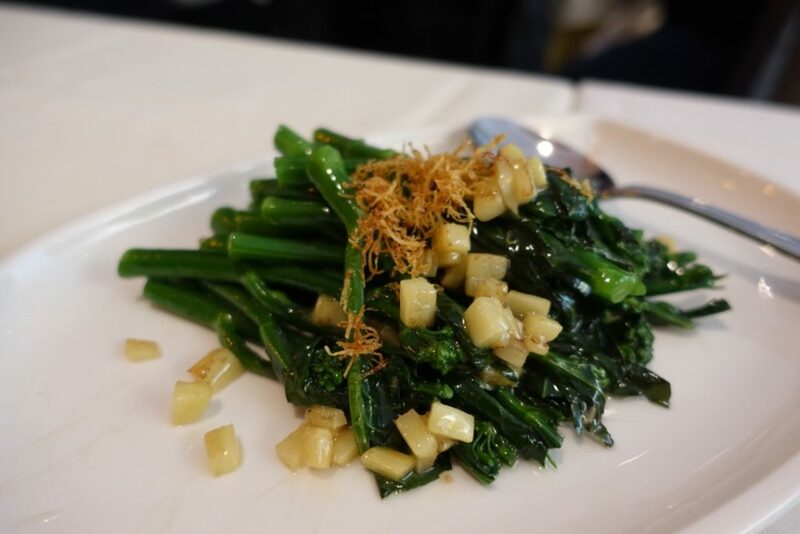 Fragrant ginger is cubed and julienned to enhance the sumptuous kai lan. 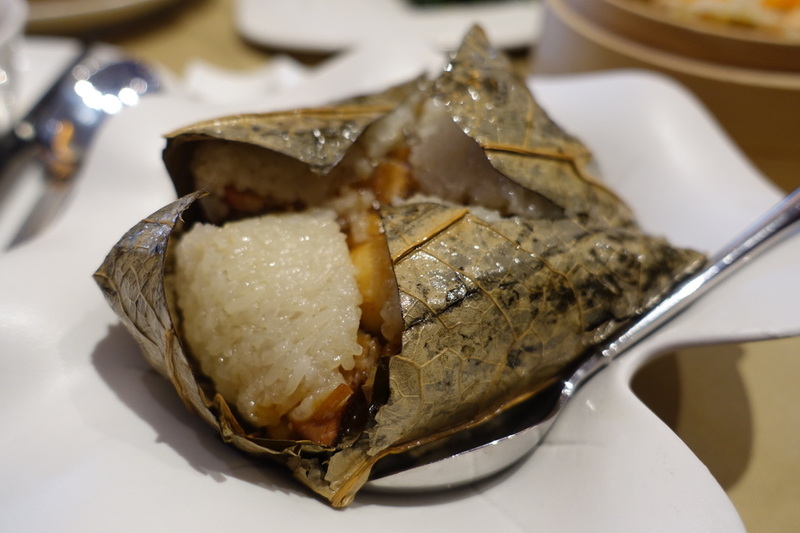 The glutinous rice wrap was brilliant too. 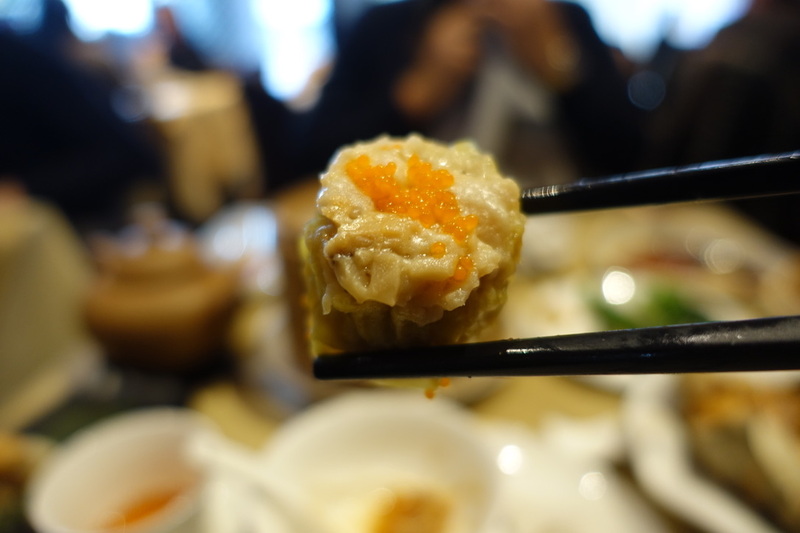 Siu mai crested with crab roe never fails here. It’s never going to be the cheapest, but the dim sum is consistently good. 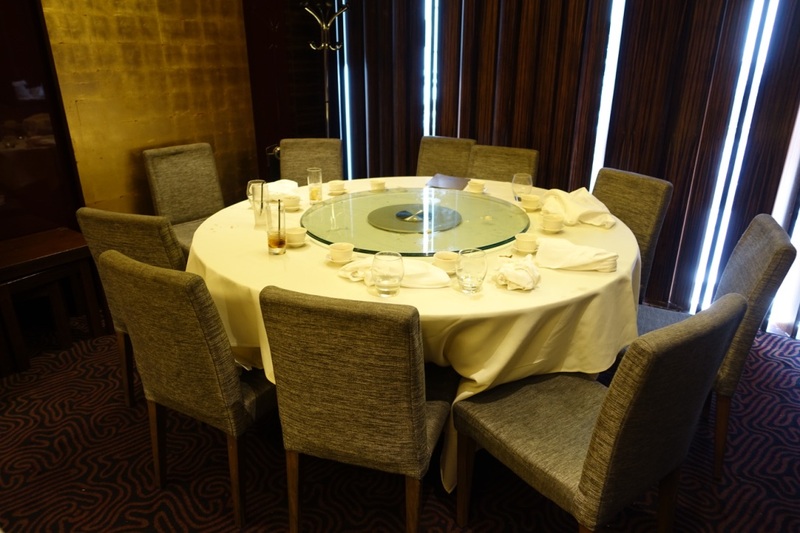 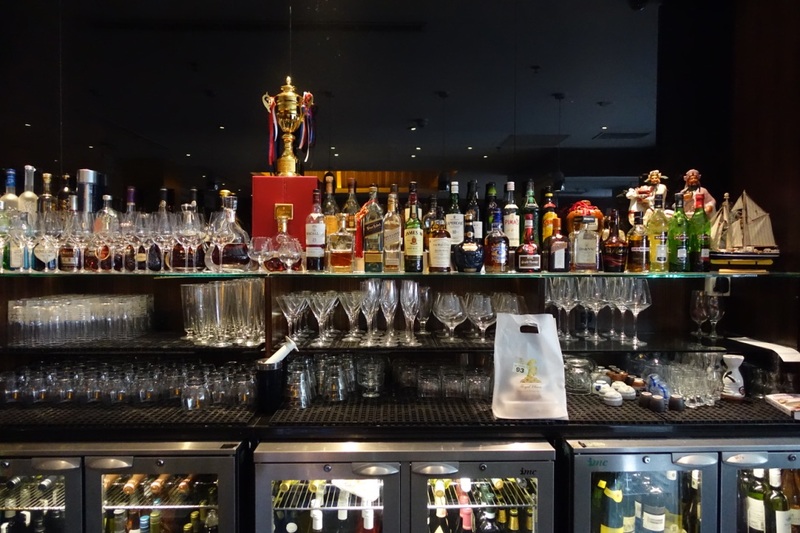 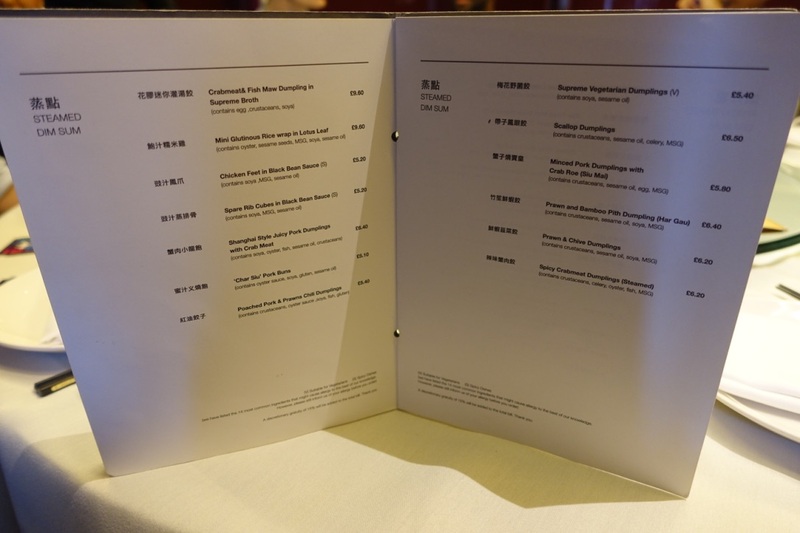 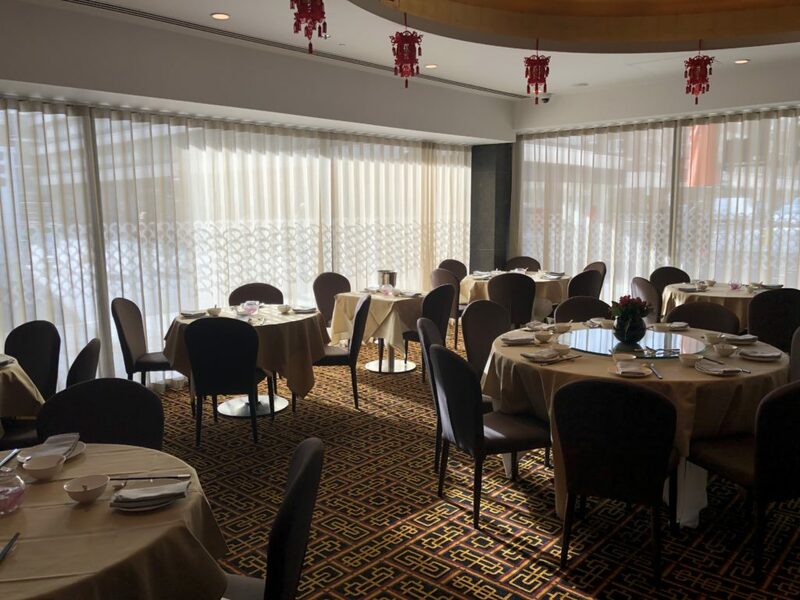 The good: What immediately stood out from RCC was the quality of ingredients and the care they put into their dim sum. 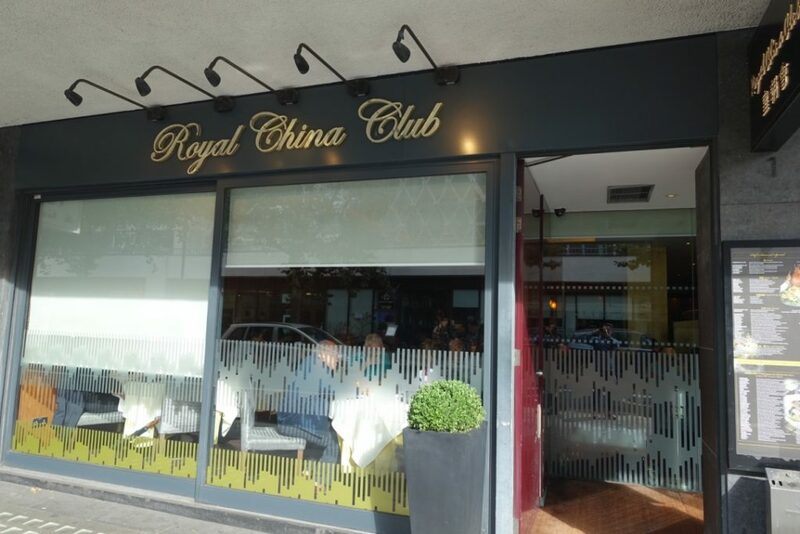 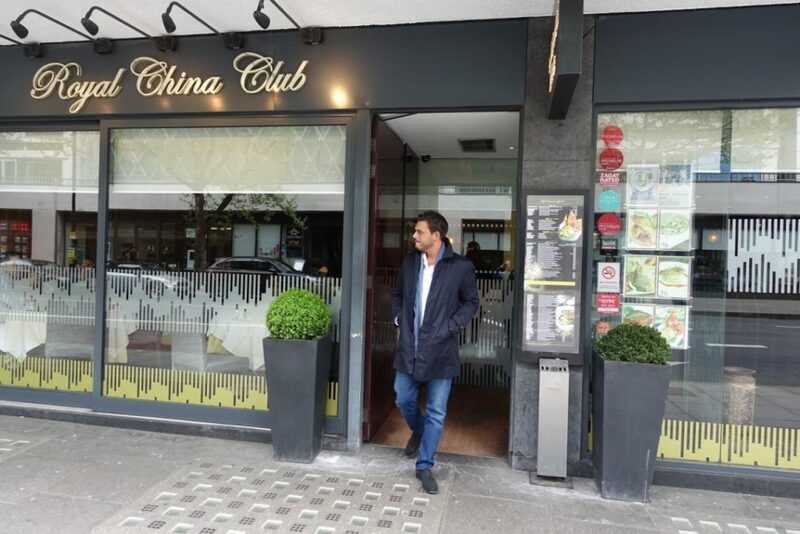 From what I gather, their USP is refined Cantonese cuisine and you can really tell. 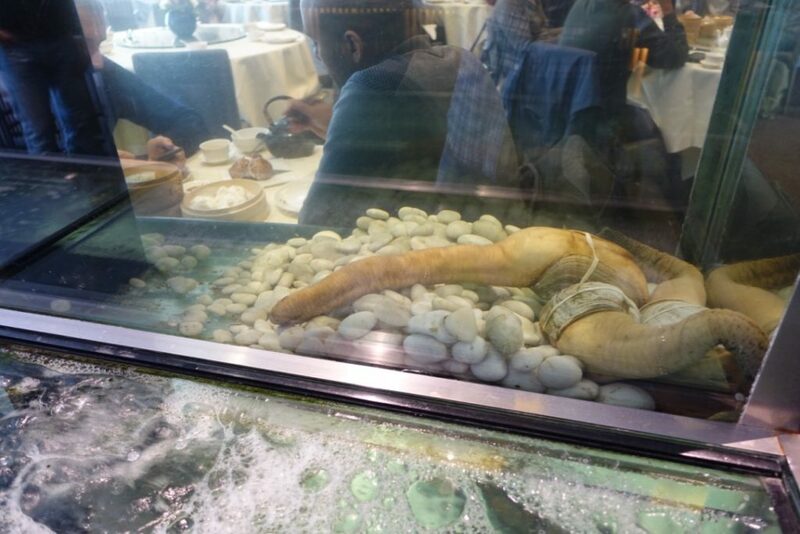 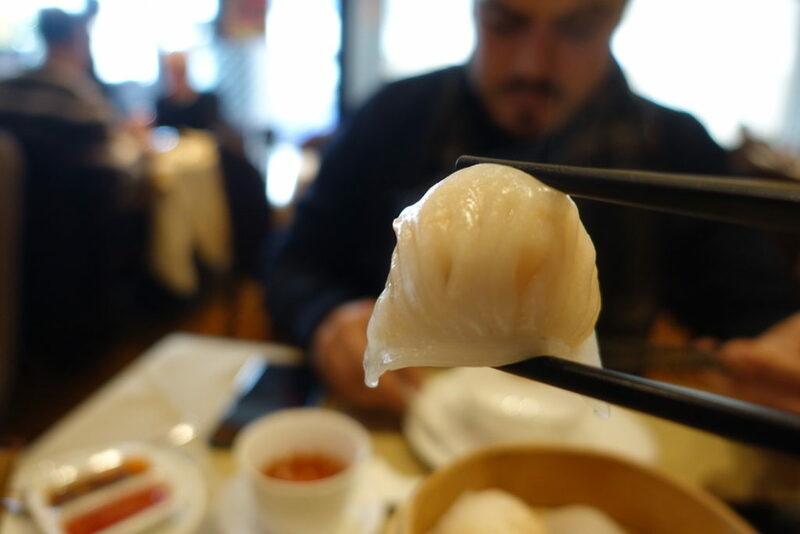 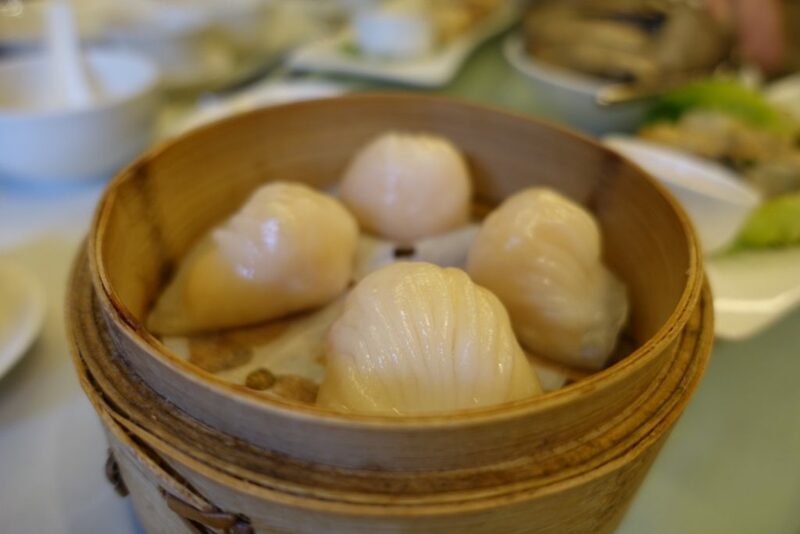 I say this with a heavy heart – but it’s great to get out of Chinatown, detaching yourself from the tourists traps, avoiding the downward spiral in the quality of food, in the name of eating deluxe dim sum at RCC. 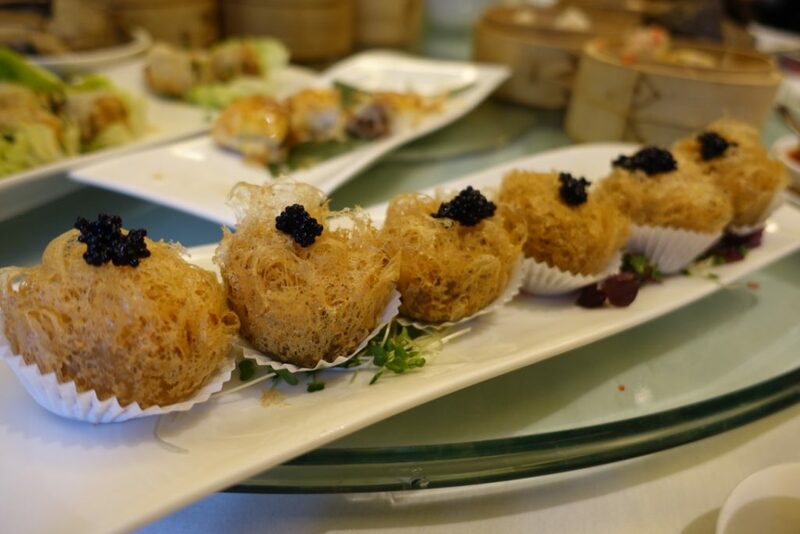 They also have a great play in the way they add luxury ingredients such as truffle & caviar to elevate dishes. 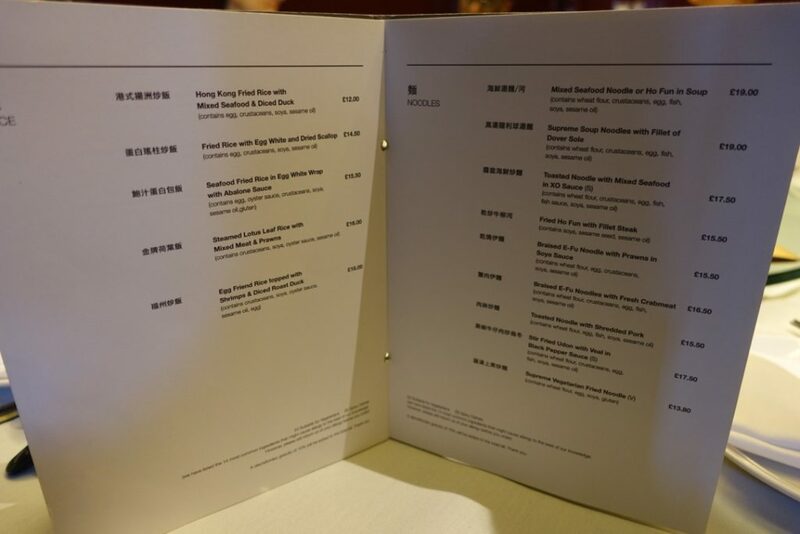 The bad: The obvious is the price, which is probably why I don’t come here too often, the dishes are probably 50% more than the average. 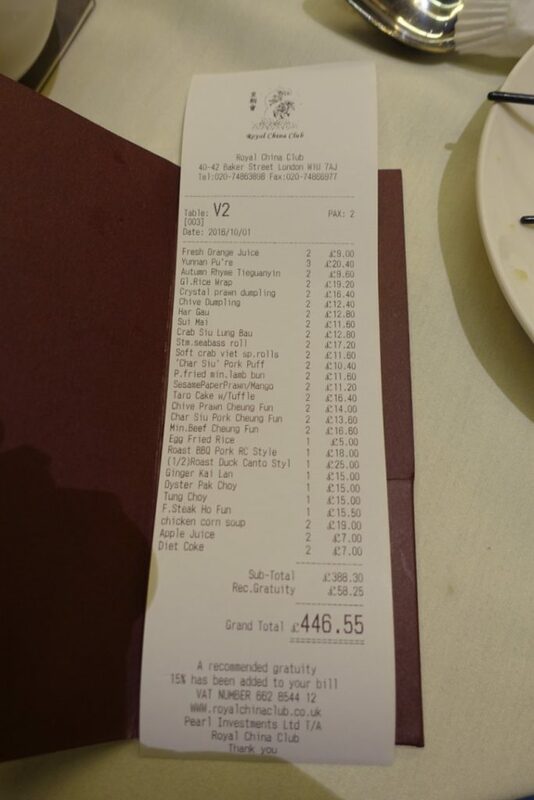 Is it worth it though? 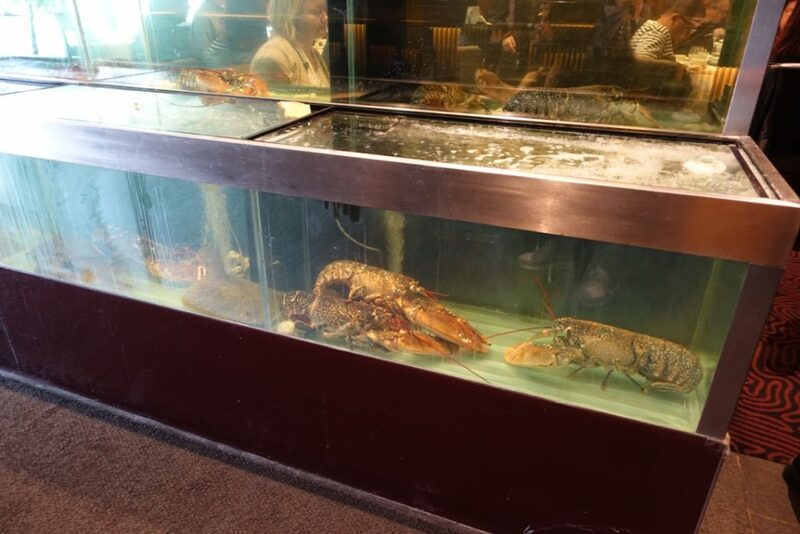 Probably not, but come here when you’re feeling flush as the food is lush! 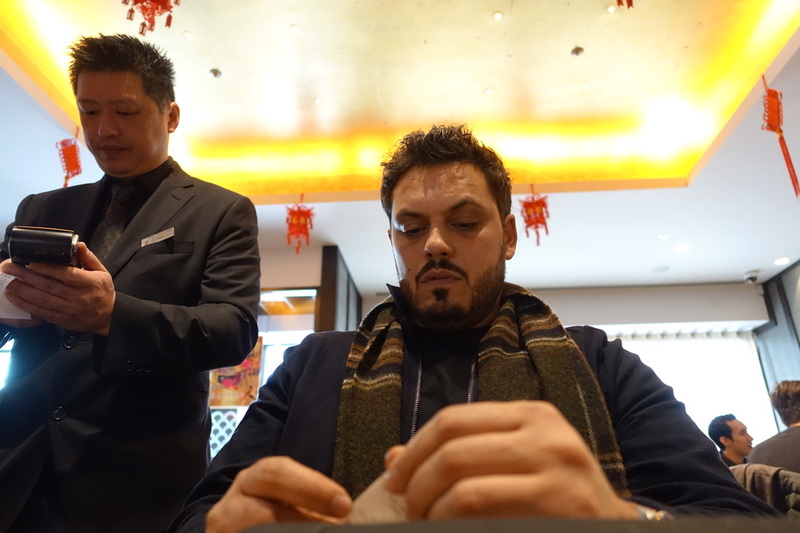 ← Shopping Rules In Hong Kong!